A Marine wife whose 6-year-old daughter was sexually abused by a Marine Corps colonel told lawmakers the military is failing victims. 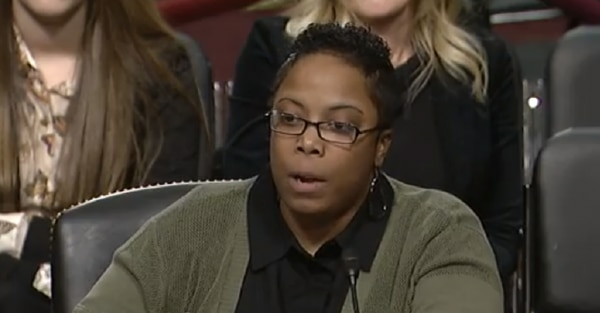 “Had my husband and I stayed silent, our case would never have been brought,” said Adrian Perry, who testified before the Senate Armed Services personnel subcommittee hearing Thursday examining child abuse and intimate partner violence in the military. Witnesses testified about problems with investigations, cumbersome processes, lack of proper resources for victims, and communication issues between military and civilian authorities. Adrian Perry said Daniel Hunter Wilson wasn’t detained until five months after the incident involving her daughter, which occurred when the Perry family had visited the colonel’s home. She cited problems with the Naval Criminal Investigative Service’s investigation of her daughter’s case ― noting, for example, that they scoured the Perrys’ personal electronic devices but failed to acquire devices belonging to the accused colonel. The investigators did not investigate Wilson’s past, she said, adding that the Marine Corps didn’t follow through to address previous reports of a sexual nature against Wilson. Wilson ultimately was found guilty and sentenced to 5 1/2 years in prison. There were problems with other resources, too. The Perrys had to drive their daughter two hours to get the needed pediatric forensics exam because there were no such specialists in the area near Camp Lejeune, North Carolina. Medically retired Army Staff Sgt. 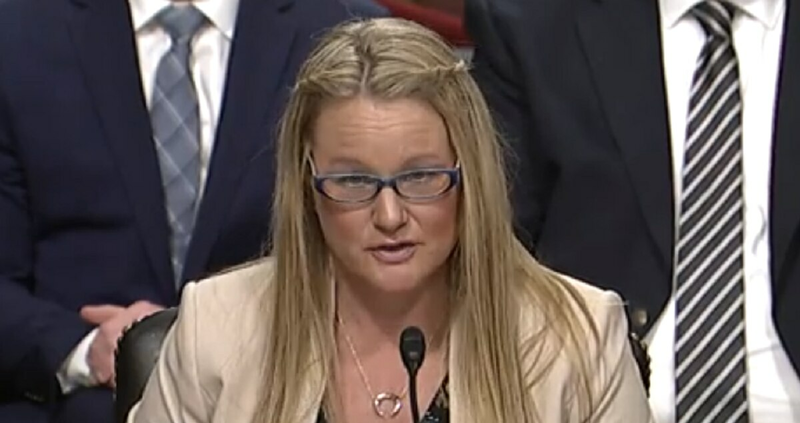 Merci McKinley also told Senators about the cumbersome processes and barriers she encountered when seeking help after being assaulted in January 2015 by a service member with whom she was having a relationship. McKinley outlined the time-consuming, difficult process to get a civilian protective order for her safety because of the injuries she received. Ultimately, she was advised to report the case to military officials, and the military took charge of the investigation. Charges were filed against the service member, but he was administratively separated instead of going to court-martial. “The key takeaway from this process is what I had to do and the effort it took on my part,” McKinley said. “Not all survivors of intimate partner violence are the same. If we go forward expecting this to continue to be the process in any way, shape or form, justice could be delayed or even denied. While encouraging efforts have been made to prevent family violence in the military, “I believe more can be and must be done for our military and their families, especially the children who are the most vulnerable,” said Sen. Kirsten Gillibrand, D-N.Y., ranking member of the subcommittee. “For too long, intimate partner violence and child abuse have been characterized as a family issue to be kept private. As a result, the violence and trauma of abuse has lived in the shadows.